People travel from all over Northern New Jersey to spend Shabbat with us: It’s because of the ruach (the spirit) that our rabbi, Shammai Engelmayer, facilitates. (He also is rabbi of Beth El.) He is down-to-earth, accessible, and believes other people know more about certain subjects than he does. And he takes the time to make things understandable. Take the Torah service on Shabbat mornings. In our shul, this part of the morning service has gone from being one of the most boring segments of the service to arguably its most popular. Not only does Shammai prepare study questions to be discussed during the reading, he hands them out a week in advance to give us a chance to think about them and come up with our own answers. Then he encourages us to share our thoughts with the rest of the congregation. For this week’s questions, click here. Most important, people relate to Shammai because he relates to them. But do not take our word for it. Spend a Shabbat with us and judge for yourself. Shammai wears several hats. 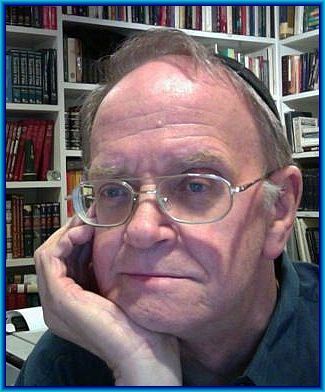 He is our rabbi; he has been writing an award-winning column for The Jewish Standard newspaper since the early 1990s (click on the red button next to his photograph above to read his past columns); he is the editor of Judaism: A Quarterly Journal of Jewish Life and Thought; and he is the longest-serving (and very popular) instructor in Hebrew University’s Florence Melton Adult School of Jewish Learning. A product of the yeshivah world and ordained in 1967, Shammai Engelmayer pursued an award-winning career in journalism before assuming the pulpit. He is the author of eight books, most on secular topics, and is working on two more at the moment. He has three children and 10 grandchildren. Shammai and his two dogs, Scoop Henry and Nellie Bly, live in Teaneck. Check out the Jewish Standard’s profile of him; click here. Shammai’s late wife and our rabbanit, the journalist Marilyn Cohen Henry, may her memory be for a blessing, passed away on March 1, 2011. To view the service held in her memory at the end of the Sh’loshim, click here.